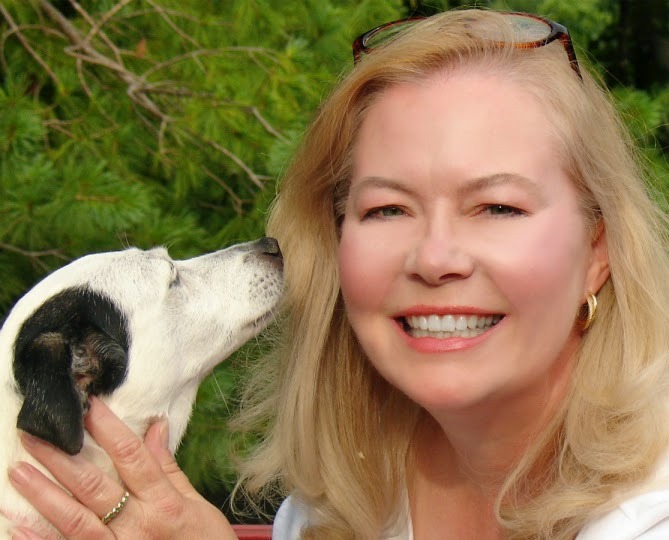 If you read this blog, you probably know that I love learning new ways of doing things. I'm always interested in trying things that seem out of the norm. 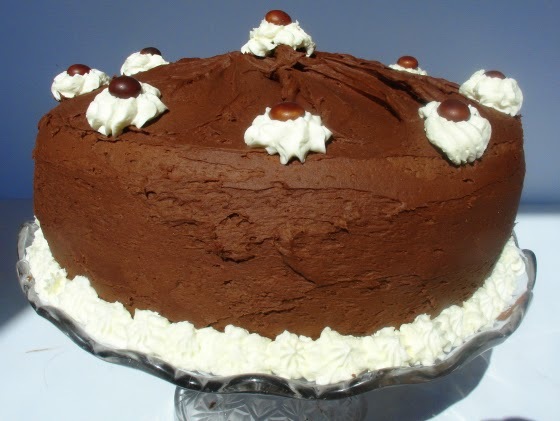 So when I was preparing recipes for THE DIVA STEALS A CHOCOLATE KISS, I looked at a number of recipes in search of the perfect American chocolate cake. Now I admit that I do love to bake a fancy schmancy torte with fillings and frostings and even a few complicated steps. But that's the kind of thing that can take up half the day. I was in search of a straight forward fabulous chocolate cake that was, well, almost a no-brainer. The favorite birthday cake or the company's coming cake. In my research, I discovered that America's Test Kitchen recommended using both cocoa powder and chocolate baking squares in one of their recipes. The more I learned about the differences between baking with cocoa powder and bar chocolate, the more I could see why. Cocoa powder gives a deeper chocolate flavor because it's sort of more condensed, plain chocolate, while bar chocolate has some fat added to it. So far so good. I would simply use both and see what happened. But ordinarily, in my experience, one first creams the butter with the sugar for a cake. Right? Not always, but that's a pretty standard thing. And I started running across recipes in which the sugar was melted in boiling water and then poured over the butter and bar chocolate! I dismissed the first one as silly. And then I saw it again and again. I had to try for myself. I have to say that it's a very easy way to make cake batter. What could be simpler than letting the hot water do most of the work? It looks a little bit odd when the rest of the ingredients are incorporated and is a very thin, runny batter. But it bakes up great! Preheat oven to 350. Grease and flour two 9-inch baking pans. Combine the flour, cocoa powder, baking powder, baking soda, and salt in a bowl, stir to mix well and set aside. Pour the boiling water over the sugar and coffee. Stir until the sugar is completely dissolved. 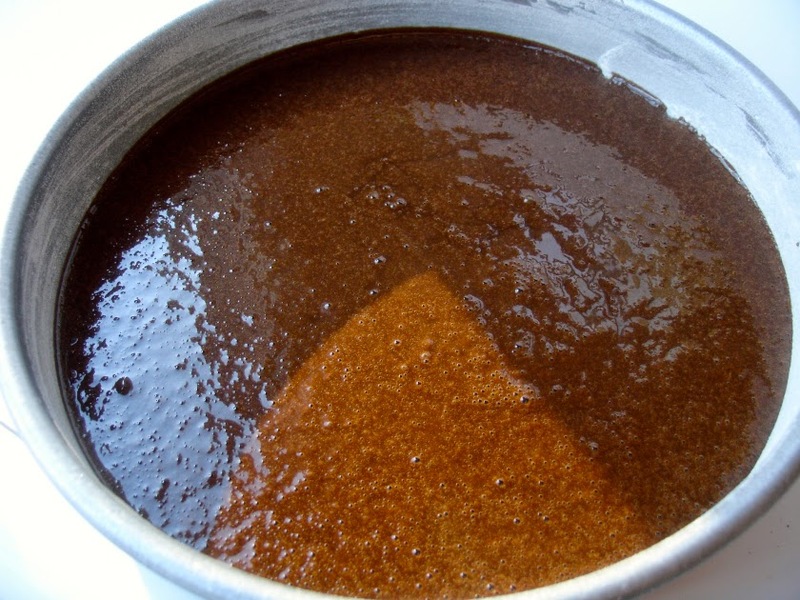 Place the butter and baking chocolate in a bowl and pour the hot liquid over them. Stir until dissolved and set aside. Lightly beat the three eggs. Add the vanilla and beat briefly. Alternate adding chocolate mixture and the flour mixture until combined. Pour into prepared pans. Bake 30 minutes, or until a cake tester comes out clean. Frost with your favorite frosting. 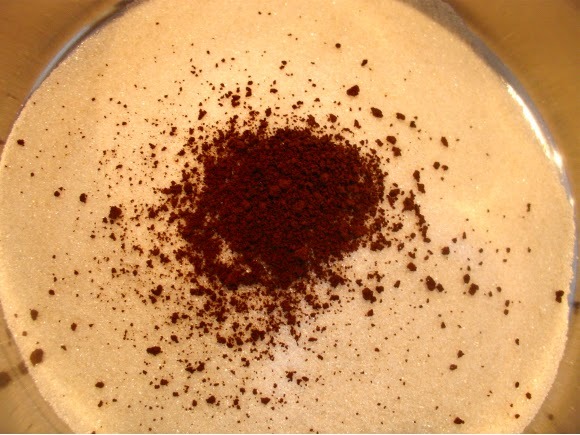 Combine sugar with coffee powder. 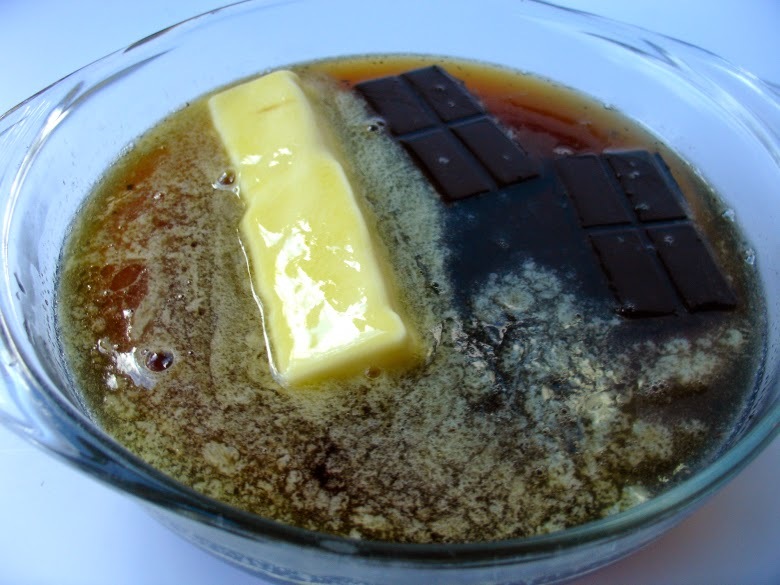 Pour hot liquid over butter and baking chocolate! That's a dark chocolate cake! Very interesting! Looks yummy, I will have to try this recipe. Thanks for sharing! My pleasure. I hope you like it! I love chocolate, and the chocolate cake looks so delicious! I love chocolate, too, Jen. It was interesting learning more about it for the new book! So perfectly traditional and simple, but that is what makes it so pretty and delicious. There is nothing better than a warm slice of chocolate cake! Thanks for all the great reading, Happy St. Patrick's Day. Margaret, the more I cook and bake, the more I believe that simple is often best! LOL! Gotta eat my veggies, Lucy! 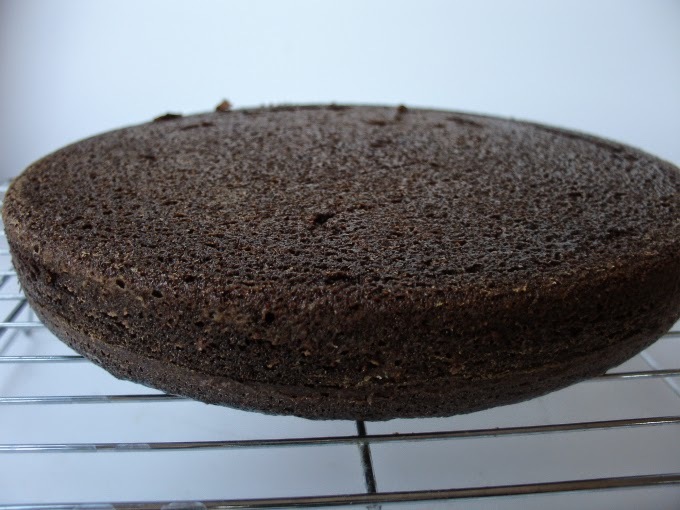 That is a marvelously dark chocolate cake. Intriguing that it calls for water and no milk. I thought so, too, Libby. As I understand it, water doesn't dilute the chocolate flavor the same way milk would. That sounds good! I have taken to make the Cake Boss vanilla cake and making a chocolate frosting recipe from one of my Essenhaus recipe books. Very easy and great tasting! I've never tried one of his recipes. Maybe it's time I did! 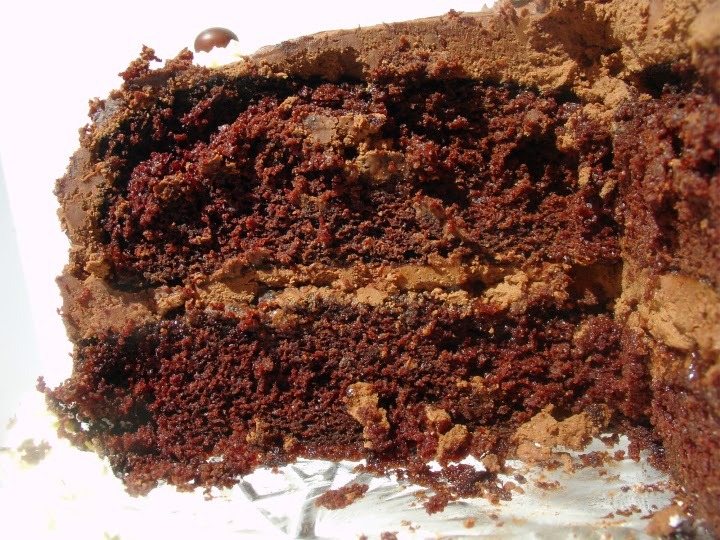 Chocolatey and moist . . . that says it all! Thanks for the delicious recipe, Krista. 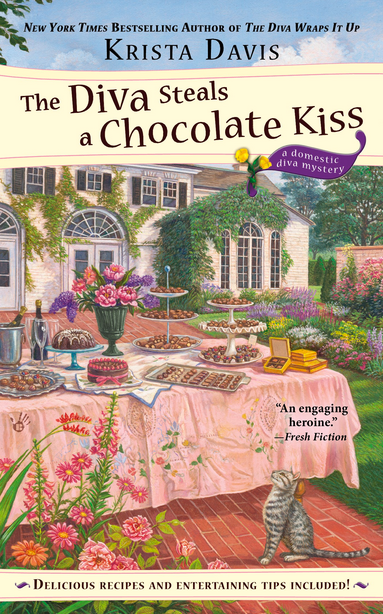 I am looking forward to reading The Diva Steals A Chocolate Kiss. Crossing my fingers that you'll like it, Linda! Well that's just purrfect, Krista! I learned something new too. This is quite a beautiful cake and I am looking forward to it and to the book. Thanks, Mary Jane! Sometimes I think I should choose themes based on things that I'd like to learn about! LOL!